Dolly Tshabalala’s post mortem painted a gruesome picture of how she was allegedly stabbed to death by her boyfriend and former Jozi FM DJ, Donald Sebolai, with both kidneys wounded while the cause of death was a penetrative wound to her right thigh causing her to bleed out. Describing in detail to the South Gauteng High Court sitting in Palm Ridge on Wednesday, forensic pathologist, Paul Morule, said the chief findings found the cause of death was a severe bleeding. “The deceased was wearing a grey pair of tights (trousers) which were blood-soaked,” said Morule. “Normally when we conduct autopsies, we cut open the body from the deceased’s chin, right through until the pubic bone and when we did that on Tshabalala, we noticed that there was a deep wound extending into her right thigh, and that’s when we extended the cutting and or opening of the body,” Morule said. He said while he was unable to describe the kind of force used in numerical terms, he would imagine that there was significant force used to result in damage. Asked to comment on some of the photos that were taken at the crime scene in Jabulani last year, Morule said in some areas of the environment, there were no signs of severe bleeding, but other photos, particularly of the fridge, suggest that blood could have been wiped off. Earlier in the day, the fourth witness Palesa Seseli was questioned about other incidents of assault involving the deceased and the accused. She testified that in November last year, Tshabalala came back to her house after just leaving with Sebolai, claiming that he had beat her up. The three had been socialising that evening. According to Seseli, Tshabalala jumped the gate before knocking on her door. She further claimed that Tshabalala was bleeding through her nose. Another incident related to where Tshabalala was allegedly jealous of a girl that had been sitting with Sebolai at Seseli’s house. Seseli testified that both Sebolai and Tshabalala were often jealous to the point where the couple would go through each other’s cellphones. Seseli also testified on a third instance of alleged assault which happened at Ben’s Tavern where Sebolai allegedly punched Seseli as well as slapping Tshabalala. 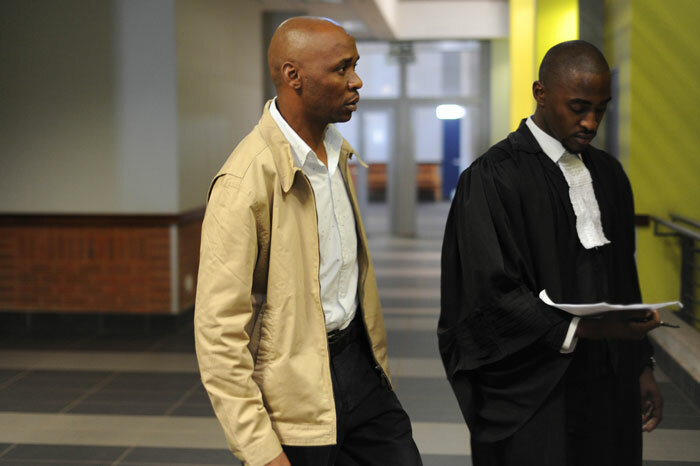 Another witness expected to testify in the murder trial against Sebolai Today is Nonhlanhla Mkhize, a friend to the late Dolly Tshabalala.